It’s that time of year again, folks! The biggest thing in Clinton, Arkansas is almost upon us. Dan and Peggy Eoff, owners of Bar -of ranch, allows close to 30,000 people on their land for 10 days. 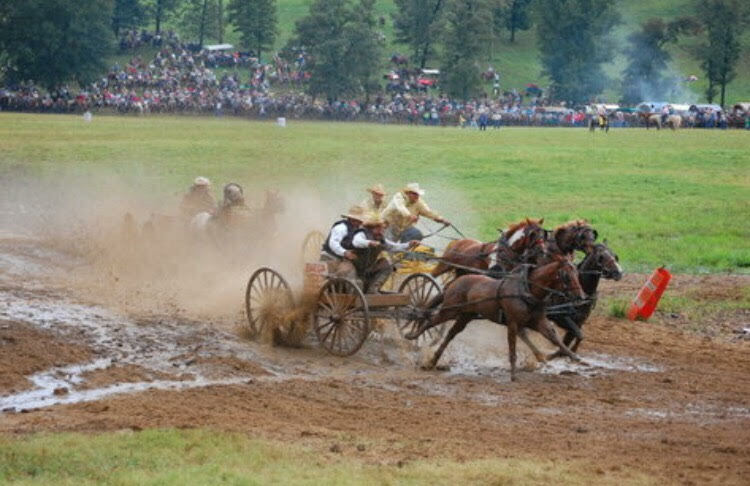 There are numerous activities during the 10 days that the National Championship Chuckwagon Races go on. The most exciting event that brings the most people starts on Thursday at 1 p.m. It is the races, of course! Blood, sweat, tears, losers, winners, and wrecks are what you will see throughout the race weekend. A few of the races include 4-up Mules, Big Mules, Snowy River, and the most popular, the race that started it all, the Classics. For additional information people may look on the facebook page (National Championship Chuckwagon Races), the website (http://www.chuckwagonraces.com/), or the snapchat (nchuckwagonrace).